Petach Tikva was the first city of what is now modern-day Israel, and was founded in 1878. An alternative name for the city is “Em HaMoshavot”, which means “the mother of settlements”. It is located near the source of the Yarkon River. Petach Tikva was originally swampland, so many eucalyptus trees were planted to make the area habitable. The ancient trees are protected by law and grace the city with their beauty to this day. 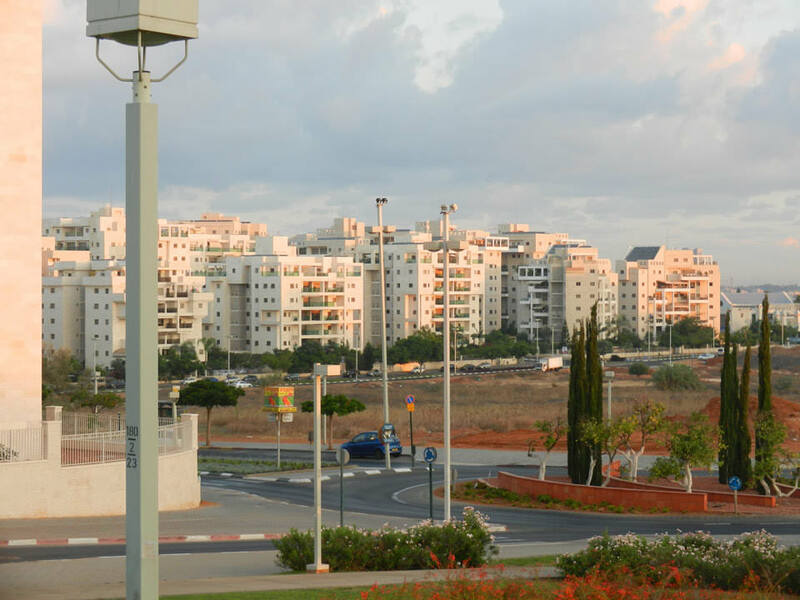 Petach Tikva is now a thriving and dynamic city, which is integrated in every real sense of the word. Residents hail from every ethnic background and level of religious observance, and this has translated in being a place with a wonderfully warm and accepting sense of community. No matter where you are from, how you like your religion, or how you like to live, you will find a place in Petach Tikva. At every grade level, Petach Tikvah schools span the religious spectrum, including secular, Dati-Leumi, Haredi, Chabad, and TALI (secular, but with enhanced Judaic studies). Petach Tikva is well-known as a welcoming home for children with special needs. There are numerous municipal special needs preschools and kindergartens of different types – including 8 for children on the autism spectrum. In addition, ALUT runs a private preschool for autistic children, and Yeshiva AMIT Kfar Ganim is a regular high school that includes a class for teens with various special needs. Petach Tikva has a music conservatory where children and adults can study. Some of the elementary schools have progrmas where children can study the violin or cello for a year at a subsidized rate. Youth groups include: Bnei Akiva (religious); Ezra (religious); Ariel (chardal); HaTzofim (secular). Petach Tikva is renowned for its basketball teams. The largest and widest-ranging basketball league is represented by Maccabi and is for boys. The girls teams are under the flag of Hapoel. There is also an Elitzur basketball league. There are two soccer teams: Hapoel Petach Tikva and Maccabi Petach Tikva. Fans enjoy games at HaMoshava Stadium. The city also has a longstanding and respected name in floor gymnastics and artistic dance; several Olympic competitors originate from Petach Tikva. Petach Tikva is served by both public bus and train service. A Central Bus Station and a smaller bus station near Beilinson Hospital give residents access to bus service to all parts of the country. Train service goes through Tel Aviv. Kvish 6 (the toll road) is easily accessible from Petach Tikva and there is a cut-through road that allows residents to drive straight to Ramat Gan. Ulpan Aleph and Bet are available. There is an office of the absorption ministry in Petach Tikva. Young Anglo families from the area have formed an active mother-baby group to offer friendship and support to each other. The interesting ruins of Antipatris and a park at Tel Afeka on a hilltop just outside the city. There are three country clubs: Sportan, Neve Oz and Givat HaShlosha. There are many health clubs/gyms across the city, as well as a few independent swimming pools (not in a country club). The new HaMoshava Stadium, which seats 11,500. 6 Indoor shopping malls (Kanyonim) and 3 strip mall. A beautiful concert hall was opened a few years ago. There are clubs for the elderly; day clubs where they can eat and have baths etc; and clubs for activities such as painting, crafts, exercise, ulpanim, lectures etc. a youth hostel and a guest house at Yad LeBanim. The Petach Tikva Museum of Art, a world-renowned art museum, and the Museum of Man and NatureThere are many small , but most notably is “Park Hagadol Petach Tikva”, with basketball/tennis courts, a large and varied childrens’ play area, wide and generous grassy areas, and space for large concerts and events space. Petach Tikva has two soccer teams: Hapoel Petach Tikva and Maccabi Petach Tikva. Fans can enjoy games at HaMoshava Statium.Petach Tikva is renowned for its basketball teams. The largest and widest-ranging basketball league is represented by Maccabi and is for boys. The girls teams are under the flag of Hapoel. There’s also an Elitzur basketball league. Petach Tikva also has a longstanding and respected name in floor gymnastics and artistic dance, and has several Olympic competitors who originated here. There are many types of extra-curricular activities available all over the city, for children and adults. For the younger generation, the range is quite literally vast, spanning the arts (art, music, drama, classical ballet, modern dance, hip-hop and breakdance, lyrical jazz and stage arts), sports (including football, basketball, roller-hockey, cycling and many others) and sciences. For adults too, there are a number of different classes available in a variety of fields. A particularly well-represented area of interest is Israeli folkdancing. There are “harkadot” on almost every day of the week, in different parts of the city, including those which are separate for women (there are two), those which focus more on couples dancing (rather than the more traditional “circle dances”, and those that include classes for beginners and offer a more fully rounded approach, comprising circle, line and couples dances. There are also Zumba classes at one of the numerous community centers (“matnasim”) as well as a variety of other hobbies that are somewhat less energetic, including the culinary arts, sculpture, bridge and various series’ of lectures and discussions, to name but a few. Petach Tikva has upward of 300 synagogues, of nearly every denomination you could wish to find, including Ashkenazi, Iraqi, Yemenite, Persian, Turkish, Moroccan, Gruzini and so on. It is about 40% religious. The older neighborhoods tend to be mixed. In Kfar Ganim, there are a handful of regular shiurim for English speakers including a Shabbat shiur for women. Three synagogues have large Anglo representation: Young Israel of Kfar Ganim, Young Israel of Kaddish Luz (near Beilinson Hospital, but now largely a secular neighborhood), and Mekor Hayim on Frankfurter St. near the center of town and Kfar Ganim A. One of the nicest things about the city is the level of understanding and tolerance between the more observant sections of the community and those less inclined towards outward demonstrations of religion. There is a mutual respect and consideration which makes living here a rich and joyful experience. Em Hamoshavot (north, close access to the intercity road # 5 as well as the direct road into Ramat Gan) – largely secular. Neve Gan (just south of Em Hamoshavot and north of Jabotinsky St.) – young and professional families, a combination of secular and dati-leumi. Several new schools were established as recently as 2011, serving both elements of the community. Rehov Ha Rav Herzog, Kfar Avraham, Kyriat Ha Rav Salomon and Chen Ha Tsafon near the Segula intersection (northeast) there is a range of dwellings from the very small, old apartments, private houses, cottages, ordinary apartment houses, to luxury apartments and tower blocks. Kfar Ganim A, B, and C, in the southwestern part of the city. KGA has a growing haredi population. KGC is huge and brand-new with a mixed secular-religious population. Kfar Ganim has the highest percentage of English speakers. Relatively inexpensive rentals can be found in older buildings. The English-speaking national religious Emunah women’s chapters operate in this neighborhood, with monthly meetings, a “chug Tanach” and Shabbat shiurim. The community is relatively small, but welcoming to newcomers. Hadar Ganim, Southeast of the Sirkin intersection. There is a small but well-established community of English speakers. Mostly national-religious and overall slightly less affluent than Kfar Ganim. The adjacent neighborhood of Ganei Hadar serves a haredi population.